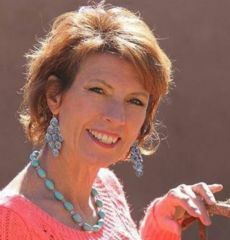 Cheryl, the founder of Whispering Spirit Ranch, is a Registered Nurse, avid horse woman, business woman, and an intuitive. She also has 38 years experience as a Registered Nurse, as well as extensive experience in Emergency medicine, Occupational Health, Psychiatric Nursing. Her Graduate studies researched the incidence of violence amongst prehospital providers and was the first to publish this in The Journal of Emergency Nursing. She received her Masters of Science in Industrial Safety Management in 1995, Post Graduate Certification in Forensic Nursing in 1996, and Post Graduate work in Animal Assisted Therapy in 2014. Besides nursing, Cheryl is a Commercial Hot Air Balloon Pilot and organized the initial program between the International Balloon Fiesta and local EMS and Hospitals for emergency response. Twenty-five years of horse experience brings a key element in the focus — and leadership — of Whispering Spirit Ranch Therapy. Her experience includes everything from breeding and promoting World Champion cutting, reining, working cow, and barrel horses, to stepping in and rescuing horses from abuse, starvation, or neglect. Cheryl has numerous certifications: CPR, ACLS, PALS, Basic Responder, Hands on healing, Leadership effectiveness, Mediation training, Art of negotiating, Team development training, Understanding and preventing human error, Trauma Causation Analysis, Personal Effectiveness Training, Fire and Arson Investigation, Pain Management, Craniosacral Therapy, Acupressure and Herbs for Nurses, Though Field Therapy, Structural Integration for Horses, hosted Animal Chiropractic Techniques, The GEMS of Excellence, Institute for Conscious Awareness; Three Eagles the Celtic Way. Cheryl has been a guest lecturer at college and medical conferences, volunteer involvement in the Hot Air Balloon Community, 4H community, Past president of the National Appaloosa Cutting Horse Association, Advisory Board Member of the American Board of Forensic Nurses, and a Board Member for The New Mexico Appaloosa Association. She is a published author of many articles regarding Violence in the Health care setting, as well as Forensics in Nursing, both in National journals as well as in Nursing text books. Personal experience with three family members with Multiple Sclerosis and 2 grand children with Autism brings in-depth knowledge of two very prominent life challenges. Her tenacity, energy and work ethic inspires others to join her team to help others heal. Her expertise as a horse woman combined with years of medical experience and business experience brings a unique, ideal combination for WSR. Cheryl is proud to have many excited, energetic, experienced, and knowledgeable people join her team. The commonality of the vision to help and heal drives all of us, but the varied approaches make us strong and unique. Last but least, we are always looking for volunteers. The mountain can be moved with a good team, and we appreciate our volunteers who work for the passion of the animals or for helping others.